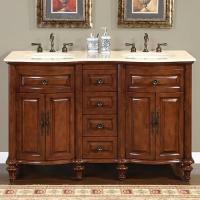 Medium brown hardwood makes a bold appearance in this solid furniture style double sink bathroom vanity. 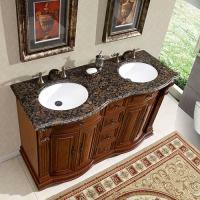 Including a beautiful travertine counter top. 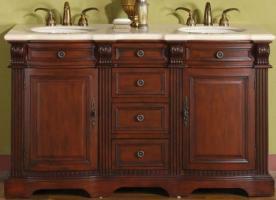 Four center drawers separate matching below sink cabinets. 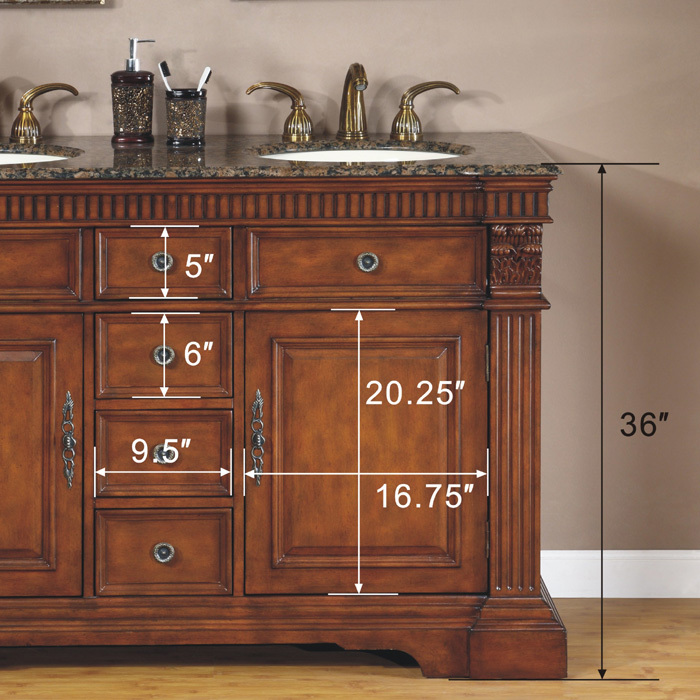 Additional Sizes: Also available in 48 Inch Single Sink Bath Vanity, 55 Inch Double Sink Bath Vanity, 67 Inch Double Sink Bath Vanity. 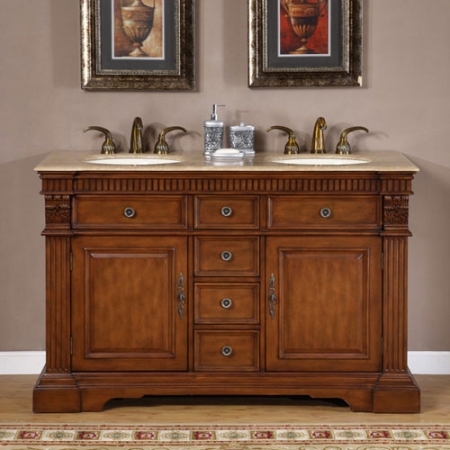 I read the reviews that had been written before placing my order with Unique Vanities. They sounded good so I felt I would take a chance. 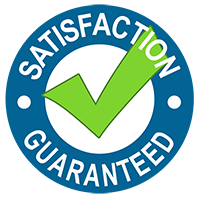 After going through the order process and delivery, I must say that I have never delt with a company that offers such a high level of customer service. It was refreshing and so hard to find anymore. I felt like I was their only customer. 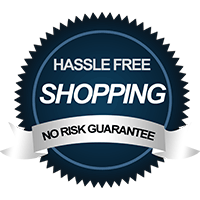 Without a doubt, I will recommend them to my friends and would order again if the need arises. Oh, my new vanity is perfect! Excellent quality and style. My husband and I searched high and low for the perfect vanity for our master bath. Our search came up short until I found your website. The perfect vanity was found. 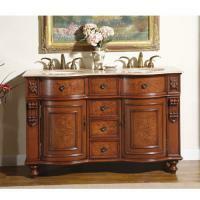 Not only do we have a beautiful vanity from your website we also received excellent customer service. Thank you for great products and great customer service. Great!!!! the cabinets are great! 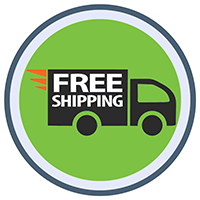 the ordering process was smooth and the shipping was handled great. I have already recommended you to other people. 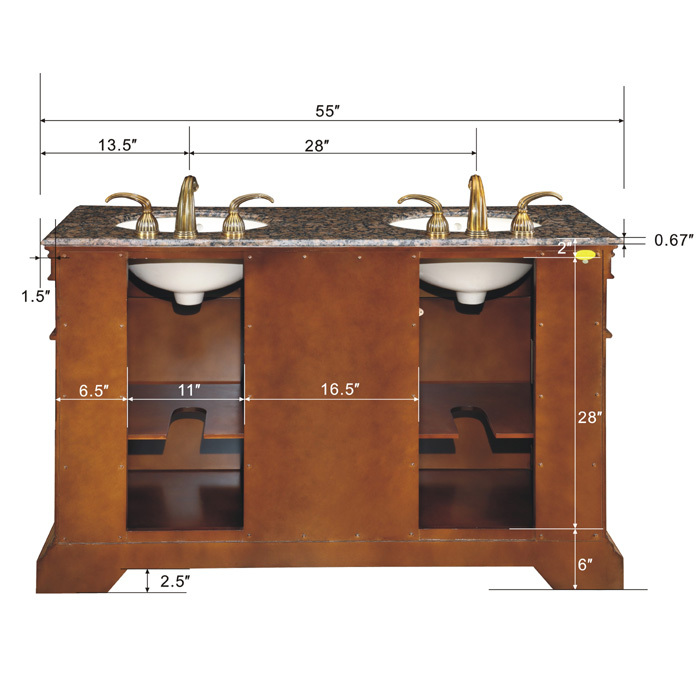 Q: Can I get this without the counter top and sinks? A: Unfortunately NO, this product comes fully assembled with the top already attached.